Binary options are relatively new trading methods that were introduced to the retail investors in the year 2008 after its approval by the United States Securities and Exchange Commission. Since binary options are easily accessible through online trading platforms and better risk to reward ratio when compared to other trading methods, many beginners have started to invest their money in binary options trading. As implied by its name, binary options have two possible outcomes for each trade. In order to succeed in a binary options trade, you should be able to accurately predict the price movement of an underlying asset and in that case, your option expires “In the money”. But if your prediction goes wrong and your option expires “out of the money”, you will lose the trade and also the amount invested in the particular trade. The first step towards starting your trading career is opening your trading account with a regulated broker who is reliable and licensed to offer the brokerage services in your respective region. Since binary options are relatively new to the financial market, there are a lot of scam brokers prevailing in the industry who prey on newbie investors. Hence, you should be very careful as a beginner to not become a victim of such fake brokers. You should do a thorough investigation about the broker through online forums and ask for feedback from existing users. You should ask about the payout percentage, minimum deposit, choice of underlying assets etc. Stay away from fraudulent brokers who promise unrealistic payouts and promote get-rich-quick schemes. If you are an investor residing in the United States, you can verify if your broker is registered with SEC using the BrokerCheck tool by FINRA. Similarly, if you are an investor residing in Europe, you can choose a broker who is registered CySEC (Cyprus Securities and Exchange Commission) or any other popular trading commission in the Europe. 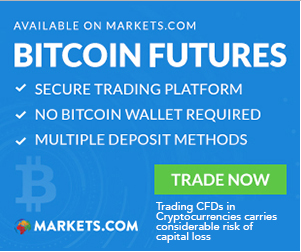 Also, ensure your broker has a user-friendly trading platform with support for social trading and a demo account for beginners to practice without investing real money. You should verify that the broker does not have any hidden charges, maintains a secure trading environment and offers hassle-free withdrawals. Once you have opened a trading with a licensed broker, you should decide how much money you will invest in each trade. You should never invest your entire account balance on a single position as you could only end up closing your account with such greedy bets. You should start your betting with a very small amount like $5 and gradually increase it as you become successful. You should also determine clearly how much risk you are willing to take based on how much money you can afford to lose. You should choose the correct expiry time and set realistic price targets for each trade. On any case, you should not invest more than 10% of your account balance on a single trade. For example, if you have made an initial deposit of $500, then the size of your positions must not exceed $50. You should also define your entry and exit criteria for each trade clearly based on your price targets. As a beginner, it’s always good to get some market insights and trading advice from experienced investors while you start trading with binary options. Many reputed brokers have their own social trading community in which novice investors can follow other experienced traders and copy their trades automatically. Most social trading networks rank top investors based on their performance using various parameters like success ratio, position size, trading frequency etc. You can follow such top-ranked investors for certain period and then decide whose trades you would like to copy and execute based on your own terms and conditions. Though binary options are very simple for beginners to understand, it’s not possible for any investor to predict the market movements accurately without the use of technical indicators. Since your success ratio is determined based on precise speculation of the future price movements of various underlying assets, you should learn the use of technical indicators which can help you to understand the market trends. You can get a lot of training materials and tutorial videos on how to use important technical indicators like MACD, RSI, Bollinger bands, candlestick charts etc. You should also understand the use of support and resistance levels to speculate price movement accurately. Apart from technical indicators, you should also do some fundamental analysis about the underlying assets against which you like to place your bets. If you choose to invest in the price movement commodities like gold and silver, you should read the market news about these assets. Similarly, if you wish to bet against price movement of certain stocks, you should read the quarterly earnings reports of those companies, their balance sheets and understand how their business is performing. This will help you in making effective trading decisions. In order to become successful, any investor should have a clear and concise trading plan before starting to invest his money. Your trading plan should have all the details like the trading strategies you will adopt, the amount of investment you will bet on each trade, the assets to choose, the entry and exit criteria etc. As a newbie investor, you should learn to adopt some effective trading strategies like hedging strategy, risk-reversal strategy, straddle strategy, co-integration trading strategy, news trading strategy etc. Following such strategies can boost your success ratio and improve your overall risk to reward ratio. There is no secret formula to help you become successful as a binary options broker. The learning process is endless and it is important to gain the required technical skills to become a successful trader. A common mistake made by novice traders is getting emotional while trading and betting huge amounts on a single trade. Binary options require a good understanding of the market trends and use of technical indicators to gain success. You should only rely on the analysis based on latest market news and your trading skills to choose your trade positions and never on luck or gut feeling. Also, as a beginner, it’s good for you to practice with a demo account and hone your trading skills before you start betting with real money.